When it comes to your curls, you probably already have a few DIY tricks up your sleeve. Get ready to add one more though to your routine for great curls! While you may drink a cup of joe every morning, coffee rinses for hair might not even be on your radar yet. But they should be! We all know drinking coffee in moderation has been linked with health benefits, but how do coffee rinses for hair work to your favor? Let’s find out! Coffee is loaded with antioxidants that are great for the overall health of your hair. It has been reported to speed up hair growth and even stop hair loss altogether. The reason behind this is that the high levels of antioxidants in coffee can help with cell turnover, which helps hair follicles grow. The caffeine in coffee plays an equally important role in coffee rinses for hair. Caffeine also helps to encourage cell turnover, and in addition, helps with circulation so your scalp, which is the bedrock of hair health, is healthy and able to produce new growth. If your hair is brown, it can even help bring out the natural tones of your hair for more definition. There are a few things you need to know before you try out this hot new trend in DIY hair care. Here are a few great tips to keep you safe and ensure the most benefits are achieved, as well as a recipe! Use unflavored coffee for your rinse. Anything with added flavor will have extra sugar and most likely be less potent. You also want to avoid instant coffee since it has more additives and less potency as well. For an added boost, you can try brewing espresso in place of coffee. This is especially good if your hair shedding is extreme or you want to encourage new growth rapidly. Coffee rinses are not recommended for bleached hair since it will dye the hair or stain it temporarily. Coffee can stain white towels and clothes so make sure you are prepared for this aspect before you add it to your hair. DO NOT USE HOT COFFEE! This is the most important thing to be said of coffee rinses. The powers of coffee will still be effective when it is safe and cool enough to use. You need to remember that the skin on your scalp is much more sensitive to heat and therefore burns more easily. If the coffee feels warm on your finger, it will feel hot on your scalp. Brew 2-4 cups of coffee and let it cool completely. 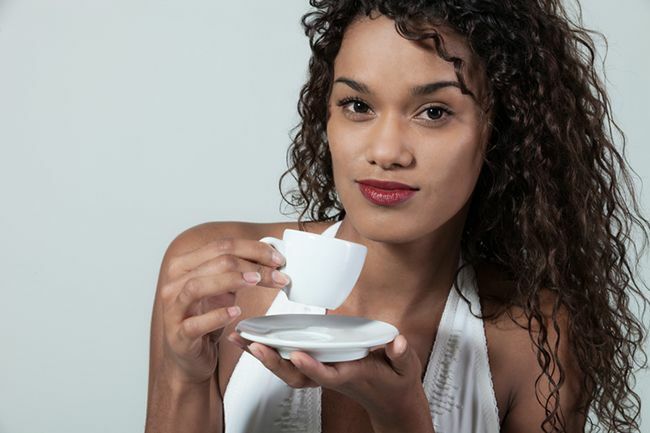 If your hair is longer, you may need to brew more than this to fully saturate your strands. Method 1. Apply to wet hair while in the shower that has been freshly washed and conditioned. Put on a shower cap and rinse out after twenty minutes. This method is good for avoiding the potential mess. Method 2. Add to dry hair at the start of the shower and rinse out before you get out. You can then condition with a leave in after. This is great for a quick treatment. Method 3. Apply with a spray bottle to strands and scalp in small amounts, just enough to wet hair. Leave in hair and style as usual. This will allow the benefits of the coffee to soak in for hours for maximum results. Thinking of adding coffee to your routine? We want to see your results! Share your coffee rinse pics with us on Facebook.